Instagram is one of the biggest platforms on the whole damn planet. It has about one billion (with a b) active users. That’s freaking insane. So you might be wondering how to grow Instagram followers for business, so you can “go viral”, become Insta-famous, and make loads of money. Let’s find out how to grow Instagram followers organically in 2019! I’ve talked before about this platform. You should be convinced by now. It’s a traffic monster that makes even other traffic monsters like Pinterest and Reddit look like little puppies. The only social platform that beats it is Facebook, and I think in a year they might be neck and neck. Or maybe Instagram will be ahead! Who knows! Facebook owns Instagram anyway so the distinction is becoming blurry. Did you know that? Yep, that also means you can do Facebook ads retargeting based on people who looked at your Instagram profile, even if they’ve never gone within a mile of your Facebook page. True story. I wrote about this in more detail in my articles on Affiliate Marketing on Instagram and How to do Retargeting. So check them out if you want to learn more about marketing and retargeting on Instagram. So there are a bunch of different ways to grow your Instagram in 2019. I’ve tried a bunch of them and I’ll go through them all. Then I’ll tell you which one works the best for getting real Instagram followers. This is the most simple: you just use Instagram exactly as a normal person would. You post some photos every day or so, you follow some friends, you like and comment on your friends’ photos every now and then. I’m sorry but this is just not going to work. Obviously! Otherwise, everyone would have a million followers. This won’t cost you any money or much time per week, but it will be years before you even get to a small number of followers. So this is not the way to go. This is a step up from the previous one. You basically do normal organic Instagram use, plus lots of manual interactions. You post three or four photos a day, good ones. And you follow people in your niche. (You need to choose a niche for your Instagram profile! Very important. I wrote an article about the best affiliate marketing niches here). You follow them, like their photos, comment on their photos. And (this is very important), you like and follow the people who follow the big influencers, especially the ones that like and follow photos a lot. They are obviously active followers who like interacting with people. So those are exactly the sorts of people you want to build relationships with. This can work pretty well, but it takes up a hell of a lot of time. You’ll need to spend at least an hour a day doing this, maybe two. That’s a lot of work. For me, it makes perfect sense to pay a tool to do a lot of this automatically (I’ll talk about which one I use shortly). It also won’t scale up that fast. That’s because follow back rates aren’t that high and your photos won’t appear outside your follower list (unless they are really amazing). So you want to know how to get followers on Instagram fast? You pay for a tool that links to your Instagram profile and does “follow unfollow” for you. Basically, it follows people in your niche, and a few days later, unfollows them. A small proportion of everyone you follow will follow you back, and hopefully, they don’t unfollow you too. So you’ll gradually build up followers. Which is pretty neat. In one way, this is actually a pretty good and cost-effective way of growing. The advantage here is that it automates a lot of the manual crap, finding people to follow, and doing follow unfollow. It only costs you a few dollars a month (although I know a sneaky way to get it for free – stick around and I’ll show you how). And it will gradually build up followers. The disadvantage is that because there’s not much interaction, your follow back rate and engagement rate won’t be very high. And again, your photos will struggle to make it out of your follower feed. Another disadvantage is that it hurts the “health” of your Instagram profile. Which means in the long run, Instagram will dislike your account, and show less of your content to your followers. No this is not a conspiracy theory – it is a real thing and has happened to me. So you need to be careful, and choose your strategy. If you are using Instagram strictly for business and just want short-term traffic, then Follow Unfollow Automation is fine. It works well. If you are taking more of a long-term view and want to gradually build up a healthy brand and a big organic following, it might not be the safest choice for you. How do you actually do Follow Unfollow on Instagram? Most people use a tool called Follow Liker to do this. It’s pretty good. You can get it to do Twitter, Pinterest and Tumblr too (does anyone even still use Tumblr?). You have to pay an upfront cost (depending on how many platforms and accounts you want), and then you pay a small monthly fee. But I know a sneaky way to get a service that does this for free, forever! All you have to do is buy the Re-Kaching course on Instagram marketing. As part of the course, they include their own Follow Unfollow automation software, that runs every month for free forever! Very cool. So it basically builds followers for you on autopilot. And you can add a whole bunch of accounts to it. All you have to do is set up proxies – they explain all this in the course. And the course only costs a few dollars, and teaches you how to turn their Instagram software into a social marketing service that you can charge people money for! So you can get some clients and make hundreds of dollars per month. That’s a pretty crazy deal, so you might want to check it out. This is a different approach on how to get thousands of followers on Instagram (though you can also combine it with the other methods). Basically, you pay a service to have a bunch of Instagram accounts with lots of followers to like your photos. Why? You need to understand more about the Instagram algorithm. At a surface level, Instagram works like most social media platforms. You can follow people, and there is a newsfeed that shows you content that people you follow have created. But Instagram has another component which is a big game-changer: the Explore page. If you click Search on Instagram, it loads an Explore page, where you can find content from people outside your newsfeed. Think about that for a moment… this is hugely powerful. Twitter and Facebook don’t have anything like this. They only show you newsfeed content and ads. But on Instagram, you can invade other people’s spaces via the Explore page, for free. So how do you do it? How does your content get to the Explore page? 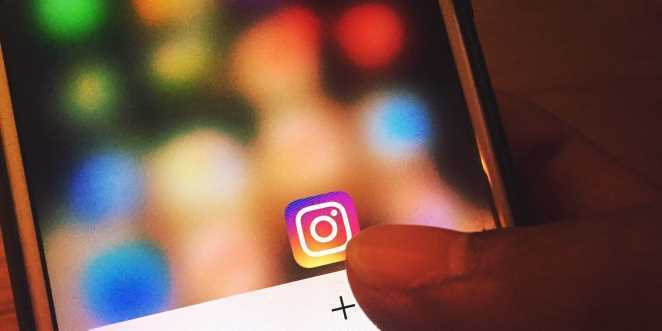 Instagram will push content there if it is considered to be very popular. If lots of people like and comment on a photo or video, then it will start appearing on some Explore pages (everyone has a different Explore page, based on what they like plus a thousand other factors). And the more followers those people have, the more those likes are worth. A like from a 500K follower account is worth much more than a like from a 5K follower account. This is what “power likes” mean. You basically pay a company a few dollars to have a bunch of people with tens of thousands (or more) followers to like your photo or video. It starts getting traction, and starts appearing on Explore pages. Then hopefully some more people like it, and it starts going viral. So this is another way of how to build Instagram followers for business. What’s the point of all this? Well, the Power Likers are mainly bots and don’t count for much. But if other people see it, they might not only like it but also check out your profile. They might follow you and click your link. So Power Likes are basically another way to get followers, by getting your content to go viral and get a lot of eyeballs. Power likes can actually work, especially with the viral effect that you sometimes get from the Explore page. You can also combine them nicely with the other methods I’ve talked about here. The problem is, they are a bit expensive, and sometimes they just don’t really work. It’s strange, sometimes content takes off and sometimes it doesn’t. I’ve looked at this closely and tried to find common attributes of photos that go viral, but I can’t find a common thread. Power likes usually cost $3 or $4. Which doesn’t sound like much, but if you do one or two a day, the cost will add up fast. I’ve found a way to get them much, much cheaper though (read on, or skip to my recommended method at the end of the article). These things (also sometimes called pods) are a weird feature of the Instagram landscape. Basically, people form these mini groups or clubs, called Engagement Groups, where they all promise to like each other’s content. And of course, if your content gets liked by a lot of people, it might start getting on the Explore page, which can get you more likes and maybe some followers. The good news is, these things are free. You just join the group, and everyone does a big reciprocal group hug, continuously. The bad news… well, there are a few pieces of bad news. First, they’re not easy to get into. Instagram hates them (they hate everything on this list except for basic organic Instagram use), so they keep pretty quiet. You also have to get approved to join, which isn’t very easy. Especially if your account only has a few hundred followers (they probably won’t accept you until you have a few thousand, at least). I happen to have done some networking and have gotten myself invited into some pretty big engagement groups. I can’t just go inviting every random person who asks me, obviously. So please don’t ask me. But fortunately, there’s a cheating way to get into DM groups! Well, a bunch of smart people started a business called Executive Mafia. This is basically a professional managed Engagement Group service. You pay a small monthly fee, and they have three different Engagement Groups (one for likes, one for comments and one for mentions, which is a special type of comment). These are controlled by bots run through a web messaging app called Telegram. And this isn’t some shady thing run by a random guy out of Eastern Europe, this is a professional service done by a proper Instagram marketing agency in Asia. I have been using Executive Mafia (I use their groups plus a bunch of other secret Telegram groups I got invited into), and the results have been fantastic – well worth the investment. If you want to check out Executive Mafia, you can have a look here. It’s a simple way to get “inside access” to underground engagement groups which you would normally never get into. Which way works best to grow followers on Instagram? I’ve tried all of these methods. I’ve found one method and service which I think is hands down the best of all. It’s a tool called Yr Charisma (I think it’s “your charisma? ), that does a hybrid method. Basically, it is a pretty advanced Follow Unfollow Automation tool. It looks for quality relevant accounts, leaves likes and comments on their content, then follows them, then unfollows a few days later. A bit more sophisticated than Follow Liker. But it also has Power Likes thrown in! Three times a day you get a big round of power likes. And these work better than the $4 ones I was buying from InfiniCore or FuelGram (the main Power Like vendors – most services are in fact reselling those two services). Three Power Likes per day would be worth $12 a day or $360 a month. You also get a good automation bot which gives you lots of followers thrown in too. Their service isn’t free or cheap obviously, but it’s very good value. They have a $35 trial for the first fortnight then it’s $85 per month afterwards. It’s more than Follow Liker but it grows you way faster. And $85 per month for $360 worth of power likes plus a good follow automation bot is a damn good deal. My account is currently growing at about 100 followers per day, which is madness. That’s 3000 per month! After a few months, you’ll be at 10K followers, when you really start growing at crazy rates. That’s because by then, your content should be getting enough engagement to start appearing on Explore pages, even without power likes. Full disclosure, I am an affiliate of Yr Charisma and I’ll earn a small commission if you buy through my link, but I’m recommending mainly because their service is so damn good. If you want to take things further you can sign up to their higher tier offers, with stronger power likes and curated content. But they’re quite expensive. You can probably get by on the $85 plan. What if you really want to understand Instagram? What if you want to actually get inside the guts of Instagram, and understand it properly? Not just get a few followers here and there, but really master the algorithm and take your Instagram to the next level? There is a really good course on sale at the moment for only $7, that has taught me 95% of what I know about Instagram. It’s called Instagram University. It’s by a young German prodigy called Niklas Pedde, and it is the best Instagram training I know of. I cannot recommend this course enough! Check it out if you want to really master Instagram. So in conclusion, there are two good how to get followers on Instagram fast. if you are on a tight budget, I recommend getting the Re-Kaching marketing training course, because it’s only about $10, and it includes access to a follow unfollow tool forever, for free. If you have a bit more of a budget, I would recommend signing up to the $85 (“Entrepreneur”) tier of Yr Charisma. Or if you just want to get a thorough education in how to use Instagram to grow your followers and monetize them, I would get the Instagram University course by Niklas Pedde. It’s only $7 and it teaches you 90% of the “big secrets” taught in the expensive fancy guru programs. If you feel you understand Instagram well and just want to start using Engagement Groups to grow like crazy, then you can spend six months trying to get invited into them (I did and after six months it happened), or you can skip the queue and sign up for Executive Mafia and you’ll be in three high powered Engagement Groups right away. I hope you found these tips on how to grow on Instagram helpful! Can you think of any others? Let me know in the comments!